Research in the news summarizes the latest results in clinical trial research. 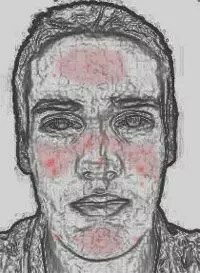 The first ever skin gel for the treatment of rosacea redness has been approved by the FDA. Phase 3 clinical trials for brimonidine were recently completed successfully by Galderma Laboratories. The recommendation for the use of brimonidine is a once daily application of a pea-sized amount of gel to each of the following: forehead, chin, nose, and both cheeks. The medication displays its effectiveness at the applied skin area up to 12 hours by constricting blood vessels in the face and thereby reducing redness, which has been described as the most frustrating symptom of the condition, responsible for much anxiety and social stress in rosacea patients. The risks for adverse side effects, such as flushing, skin burning, more skin redness and rosacea, nasopharyngitis, and headache are low. Caution is advised to users with depression, cerebral or cardiovascular diseases, Raynaud’s phenomenon, scleroderma, and Sjorgren’s syndrome. Galderma. “FDA approval of Mirvaso®: the first FDA-approved topical treatment specifically developed and indicated for the facial erythema of rosacea.” Medical News Today. Available from: http://www.medicalnewstoday.com/releases/265283.php. August 28, 2013. An Australian-Chinese research collaboration showed that type II diabetes amplifies the cognitive impairments in people with schizophrenia, and who are in turn at a 2-4 times larger risk of developing diabetes. The study suggests a connection between glucose regulation and attention and memory in schizophrenia. Some antipsychotic medications have also been shown to increase the chance of type II diabetes. Future treatments for schizophrenia targeting cognitive aspects will concentrate on the glucose metabolism in the body. 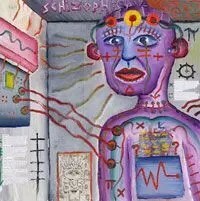 Institute, Schizophrenia Research. “New clinical trial may improve cognitive function in those with schizophrenia and diabetes.” Medical News Today. Available from: http://www.medicalnewstoday.com/releases/265304.php. August 28, 2013. A recent clinical trial with electronic cigarettes has shown this anti-smoking remedy to be roughly as effective as nicotine patches. The researchers reported a 7.3% success rate of electronic cigarettes in eliminating smoking addiction, compared to a 5.8% success rate with nicotine patches, and 4.1% with placebo cigarettes. Electronic cigarettes have become a popular way to treat smoking addiction in the past few years. The slight predominance of e-cigarettes over nicotine patches does not represent a significant improvement. Furthermore, much debate remains over the long-term safety of e-cigarette use. One other study reported lung damage and increased airway resistance from e-cigarette use. Vaporized propylene glycol is among some of the volatile organic compound (VOCs) that are hypothesized to bother airways when emitted from e-cigarettes. In addition, inadequate labeling of the ingredients in many e-cigarettes contributes to uncertainty over their usage. More clinical trials are needed at this time. Fitzgerald, Kelly. “Electronic Cigarettes – Are They Harmful Or Not?.” Medical News Today. MediLexicon, Intl., 8 Dec. 2012. Web. Paddock, Catharine. 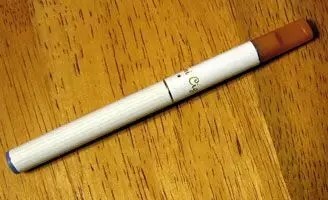 “E-cigarettes as effective as patches in helping smokers quit.” Medical News Today. MediLexicon, Intl., 9 Sep. 2013. Web.